What if you never had to worry about waxing, shaving, tweezing, threading or snipping unwanted hair ever again? 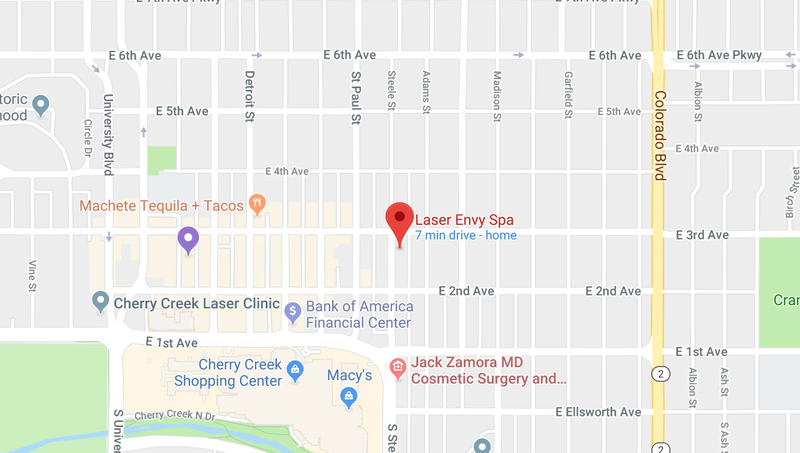 At Laser Envy Spa, we specialize in safe and effective hair removal treatments. We have highly skilled and experienced technicians who are all fully trained and professionally qualified to help you say goodbye to inconvenient, painful hair removal rituals. You will absolutely love the results and convenience after undergoing our laser hair removal treatment. Call (720) 206-5078 to schedule a consultation and begin your hair-free journey today! Free parking is available in the lot behind the building.